We train people to understand mediation, to use mediation, to become mediators. We can train you to manage conflict better. How about Some Fun Facts about our mediation? A lawyer, Chris trained as an inter-personal mediator with Bridge Builders at London Mennonite Centre in 1999. He and Micha Jazz went on to establish Peaceworks that same year. They gained experienced in mediating a variety of disputes, with both voluntary and statutory organisations until in 2002 when they authored and presented a Peaceworks course in mediation skills. In January 2006 the course received the approval of Mediation UK and that approval has now been adopted by the College of Mediators. An accredited Professional Mediator, Chris now directs Peaceworks and has considerable experience in different areas of mediation including workplace mediation, multi-party neighbour disputes, organisational and management disputes and inter-generational conflicts. 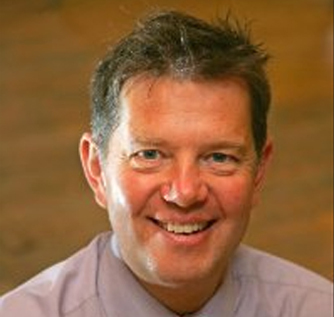 In 2010 Chris extended his training by passing the Chartered Institute of Arbitrators’ Commercial Mediation Course. Chris practiced as a solicitor in Chichester after taking Law at the University of Kent at Canterbury and Solicitors’ Finals at the College of Law, Guildford. For 23 years he worked in the charity sector concentrating on leadership training and development, public speaking and writing. Always passionate for social justice and sustainable peace, Chris travelled to places of conflict like Bosnia, Belfast, South Africa, Angola and Albania. 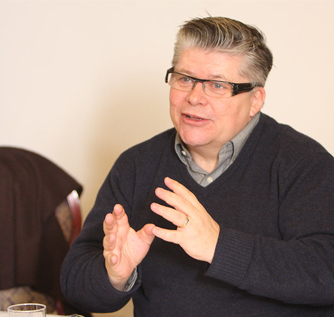 He has worked over a number of years on reconciliation initiatives including critical reconciliation events in Wales, Ireland and, most particularly, as chair of the Europe-Africa Reconciliation Partnership. In 2012 Chris helped to found Schoolsworks, a multi-academy trust that runs 5 primary academy schools in West Sussex. Most of Chris’ time is now taken up as CEO of this Trust. The majority of Micha’s career has been spent working in the voluntary sector. Micha established and operated as a director of his own company, Successful Solutions, providing consultancy in re-imagining a non-profit organisations in Britain and the US. In 1999, following an extensive period of involvement in mediation work through this consultancy, he worked with Chris Seaton to set up Peaceworks. Micha is an experienced CEDR accredited mediator (Centre for Effective Dispute Resolution), an accredited workplace mediator, and a Recognised Member of the College of Mediators. From this base Micha has been in great demand as a helper of other people in development, strategic planning, and as a life coach. He is particularly effective in operating in a participative, non-threatening style. He has also had extensive experience in the international, multi-cultural context including Europe, Africa, Asia and North America as well as organising a series of International consultation processes. Micha is a competent trainer, speaker and lecturer and has written a number of books and articles. After reading Modern History at Oxford University, Micha worked with Youth For Christ as Director of Strategic Planning. He was also one of the founders and the first CEO of Spring Harvest, Europe’s largest interdenominational training conference. He then went on to provide innovation and leadership at Evangelical Alliance UK where he led the Social Affairs & International teams, and dealt with politicians and the media over human rights issues. Micha also helped to found and subsequently became the first director of a global Religious Liberty Commission with World Evangelical Alliance. In 2000, Micha returned to his academic studies on a part time basis. He completed his MA in Jewish History & Culture at Southampton University in 2003 achieving a distinction. He then completed his PhD (again at Southampton) in 2009. Annie began her mediation training with Peaceworks in 2003 and joined the Peaceworks schools’ team at an early stage of its development in 2004. 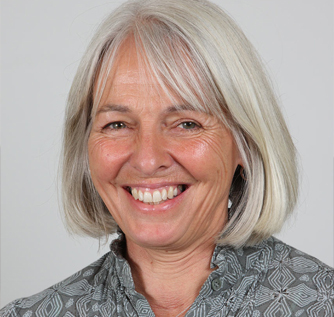 In 2006 Annie took on the management of the team and began to significantly contribute to the writing and editing of materials, and training staff as well as teaching students. Her interest in conflict resolution and mediation led Annie to undertake an MSc in Conflict Resolution and Mediation studies at Birkbeck College (University of London) in 2008. Alongside her work in schools across West Sussex, Annie is involved in a mediation project with Peaceworks working with families in crisis. A Recognised Member of the College of Mediators, she has also gained experience in mediation in family (ancillary to divorce) mediation, workplace mediation and inter-generational mediation. Annie Sneller originally trained as a nurse and worked part time as a community RGN whilst bringing up her family. On completion of her nursing career in 2001, Annie pursued her interest in community and family support by working as a Family Link Worker for West Sussex County Council for 2 years. Always involved in community projects, Annie has set up a children’s play-scheme in her local rural area, served on the Community Voluntary Services Committee for a number of years, participated in community planning groups, served as a school governor and is currently chair of a voluntary management committee for a local playgroup. In her role as part of a local church leadership team she has worked to build links between community and church and is also trained in pastoral care and counselling. Great facilitators who really knew their stuff and were able to introduce good humour throughout. This course is amazing… I really felt in a real LEARNING process! Really useful training to transfer into the workplace – I’ll strongly recommend this to others. Genuinely new skills aquired and many new distinctions made. An open door that cannot be shut. I would have no hesitation recommending this course to others. Incredible value for money. More than fulfilled my expectations.